You’ve got the hardware working perfectly. The software is awesome. The fantastic project is ready to meet the world. 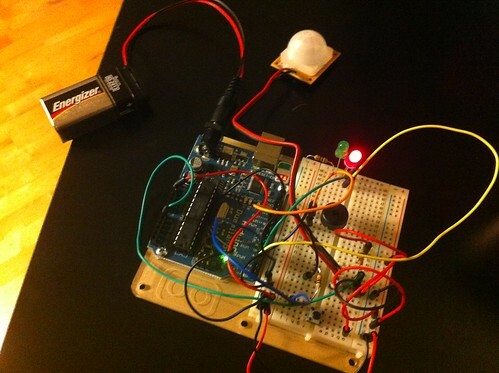 But if it’s on a breadboard, how are you going to deploy it to the real world? A circuit like the one below isn’t going to survive long. Or maybe the circuit is built around your Arduino board. 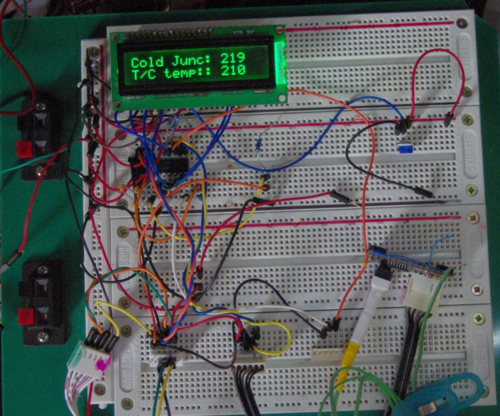 Do you really want to dedicate your Arduino to the project? The project may be awesome but it’s a bit fragile and you want to get on using your Arduino for something else. Build a PCB (printed circuit board) for your application! You can include exactly the features you need, make the board fit a nice enclosure and let the project live happily ever after. 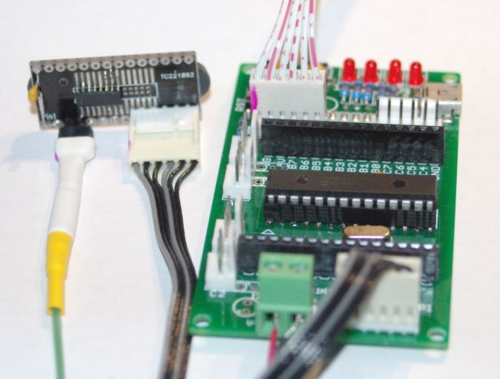 Until recently, custom-made printed circuit boards were expensive and difficult for a hobbyist to have made, but the situation has changed tremendously. 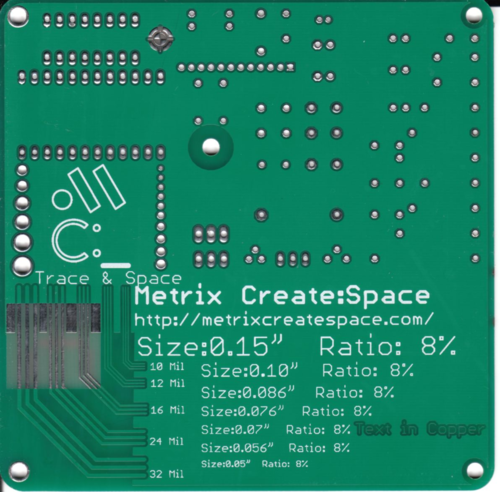 You can have a 5 cm x 5 cm board made and delived to your doorstep for less than $15…FOR TEN COPIES. A larger board of 10 cm x 10 cm (almost 4” on a side) is only $33 for 10 copies. Chinese board fabrication houses provide high quality printed circuit boards at an astonishing price. The PCB Design Tutorial (scheduled Tuesdays June 7 and 14) will show how to go from a schematic diagram to a finished printed circuit board using EagleCAD software (a free version is available for boards up to 8 cm x 10 cm). 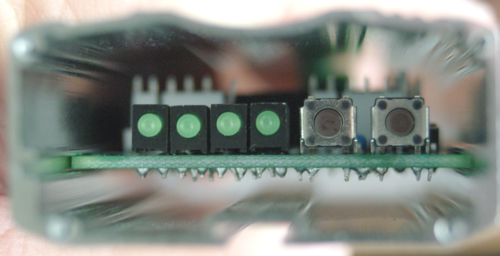 The instructor, Jon Chandler, has designed a number of circuit boards for projects large and small and will help you avoid some of the problems he has encountered along the way. Jon has plenty of hints, tips and mistakes-not-to-make to share! The tutorial is presented in two workshops. The first workshop (Tuesday, June 7 7-9p, $50) will cover board design and layout. The second workshop (Tuesday, June 14 7-9p, $50 if purchased singly, if taking first session, $30 in advance/$40 at the door) will review layout and cover preparation of Gerber files to have the board made at any fabrication house. A number of options will be presented covering the range of production needs. 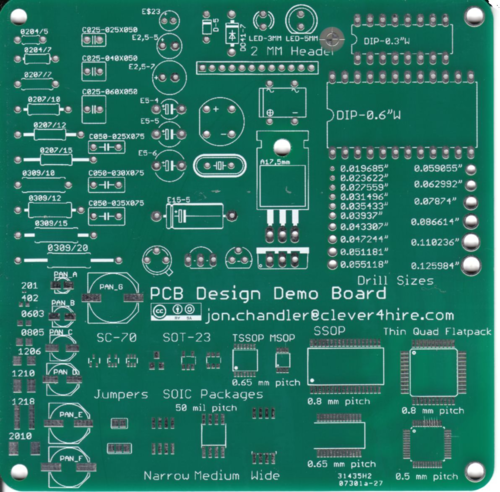 A sample PCB board will be provided to participants which is a helpful design tool. To sign up for the workshop, please call (206-357-9406) or come down to the shop.